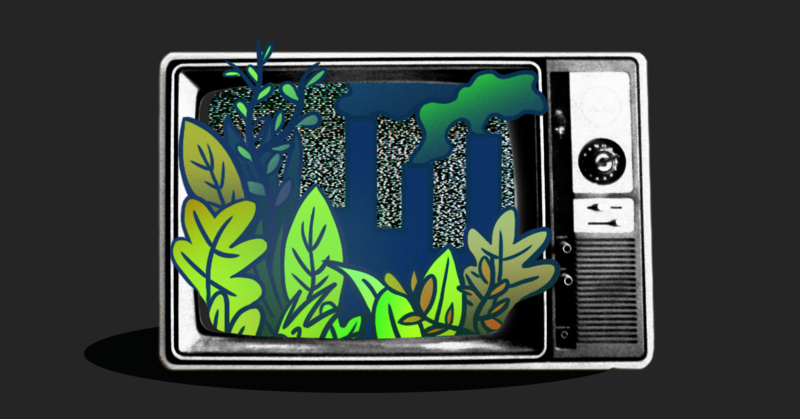 It indicates a notable increase in climate coverage compared with the first month of the year , when none of the shows aired substantive segments on climate change and altogether they made just four passing mentions of the topic. Most of the coverage in February focused on the Green New Deal resolution  that Rep. Alexandria Ocasio-Cortez (D-NY) and Sen. Ed Markey (D-MA) introduced on February 7. While it was encouraging to see more media attention on climate policy ideas, the discussions tended to be narrowly focused  on the potential political ramifications for Democrats and Republicans instead of whether the Green New Deal contains worthy ideas for addressing climate change. On a more discouraging note, some of the Sunday show discussions about the Green New Deal included climate deniers -- most notably right-wing radio host Rush Limbaugh, who appeared on Fox News Sunday on February 17. During a wide-ranging conversation , Limbaugh called climate change a "hoax" after host Chris Wallace brought up the Green New Deal. Limbaugh went on, "There's no evidence for it. Climate change is nothing but a bunch of computer models that attempt to tell us what's going to happen in 50 years or 30." Wallace did not push back against Limbaugh's outright climate denial. This was the lowlight of February's climate coverage. 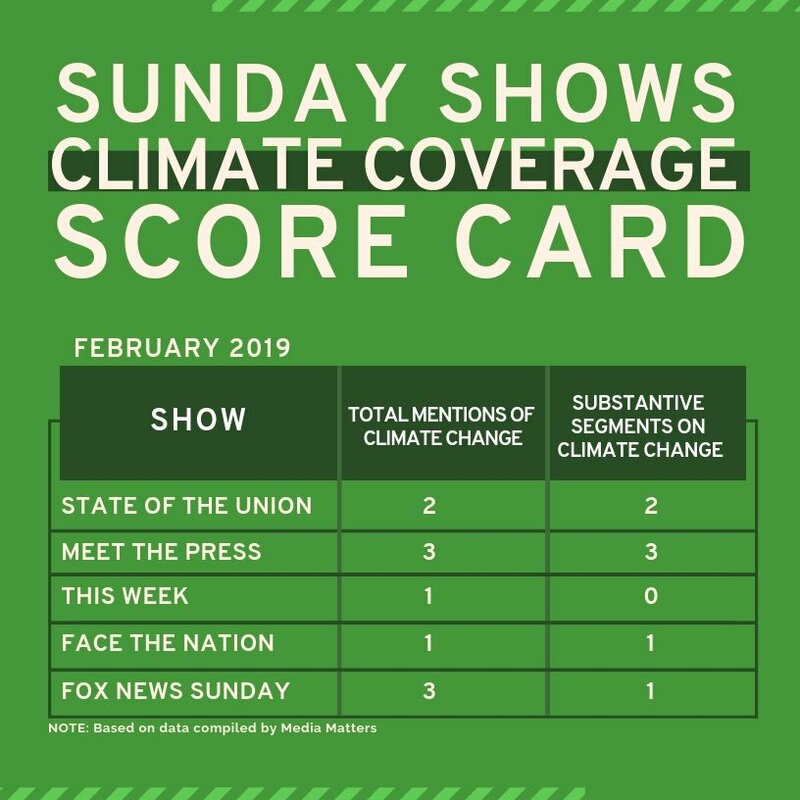 Other people who have denied or downplayed the climate threat were also asked about the Green New Deal on the Sunday shows. On the February 10 edition of Fox News Sunday, Wallace raised the topic  with National Review Editor Rich Lowry  and with acting White House Chief of Staff Mick Mulvaney . And on February 10 on ABC’s This Week, host George Stephanopoulos brought up  the Green New Deal with former New Jersey governor and ABC contributor Chris Christie . None of them expressed climate denial in these conversations, but Lowry used the opportunity to criticize the Green New Deal as "socialist" and "radical" and Mulvaney expressed delight that the plan is dividing Democrats. In 2018, the Sunday shows hardly covered climate change at all , and when they did, those discussions too often featured climate deniers . Now -- after the release late last year of landmark climate reports from the United Nations and the U.S. government and the introduction this year of the Green New Deal resolution -- the programs are addressing climate change more often, and at least some of the coverage is constructive. We hope to be seeing a lot more.